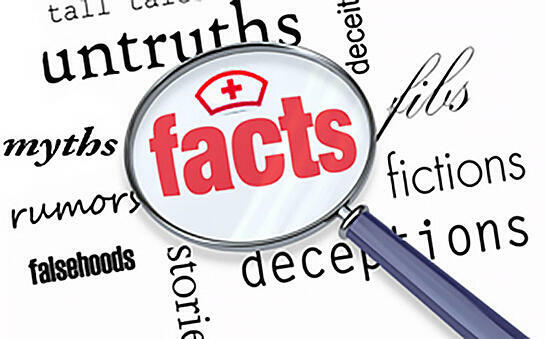 There are undoubtedly a number of myths about the Nursing profession. Being a Nurse is as rewarding spiritually as it is financially, but unfortunately, many qualified individuals overlook the Nurse career path due to any number of possible misconceptions. After debunking some of these Nursing myths, it becomes easier to decide whether a career in Nursing makes sense for anyone considering it. 1. Only females choose the Nursing profession: Perhaps the most commonly believed Nursing myth is that only females become Nurses. From 1970 to 2011 alone, the percentage of male Nurses nearly tripled from 2.7 percent to 9.6 percent. Those figures have only risen since then. 2. Nurses are only found in hospitals: Nurses can work in a variety of settings, hospitals being only one of the more common environments typically thought of by the uninformed public. Among RNs, only 63.2 percent are performing in-patient and out-patient services in hospitals. Among LPN's, the numbers are even less tilted toward hospital work settings, with only 29.3 percent working in hospitals. 3. Nurses want to be doctors: The notion that a Nurse is simply a doctor in training or a doctor that didn't make the cut is both incorrect and disparaging to how unique and important a Nurse's work really is. 4. Due to a Nursing shortage, it's simple to get a job: Nobody would think that because there is a shortage of astronauts, pursuing that career path would be easy. Why use that same logic for the career path of becoming a Nurse? According to professional studies and available data, most Nurses must undergo a period of 2-4 years of training to earn entry into an RN or LPN Nursing role. 5. Nurses are all the same: The work performed by a Nurse is going to vary greatly depending on the specific medical setting the Nurse inhabits. Certainly one of the more common Nursing myths, it is hardly the case that Nurses are just simple clones of one another. Not only are there a wide range of potential services regularly performed by qualified Nurses, but there are a vast set of options in terms of Nursing specializations for those seeking specific types of healthcare work. 6. Continuing Education (CE) is only important if you plan to pursue a management position: More than any other field, the Nursing occupation has stringent requirements for continuing education, even when management positions aren't the goal. The extent to which a Nurse is performing their functions properly is shown in how well the services performed are executed. Continuing Education for Nurses is beyond a requirement -- It's a smart career move. 7. Nurses only work crazy hours and shifts: Too often, a Nurse is thought of as a person who has to work very late into the night, or that Nurses must arrive at their work before the crack of dawn. Frankly and fortunately, this is not always the case. 8. Nurses are doctors' assistants: The tasks required of a Nurse are varied and important. Very rarely are Nurses and doctors actually working on the same efforts and tasks. More commonly, Nurses and doctors are performing their own separate and critical functions within a medical or healthcare environment, but these functions rarely overlap or present themselves in a boss/assistant paradigm. 9. Nurses only take care of patients: One of the most long-standing Nursing myths around is the concept that Nurses are just rushing around taking care of patients' needs. Taking temperatures, writing on charts, fluffing pillows and the like are the type of tasks that are conjured up in the minds of those who frankly don't understand the depth of a Nurse's daily efforts. 10. There is no Diversity in a Nursing job: Continuing on the myth that started this list, the misunderstanding about Nursing diversity extends beyond gender. While the cliché that a Nurse is always a Caucasian female, the numbers are starting to tilt drastically towards an ever-increasing diverse workforce of Nurses. This is definitely in the best interest of the diverse patient populations seeking medical care from Nurses. Choosing a career in Nursing is a very individual choice, but it does pay to consider these Nursing myths. Simple misunderstandings about what it is to be a Nurse can prevent some potentially excellent Nurses from joining the fold. Not everyone is going to be a perfect match for the job of a Nurse. Once these myths are dispelled, the field opens up to many more individuals with an interest in finding a rewarding occupation and the opportunity to focus their efforts on helping the sick and suffering. Like this article? You'll love our bi-weekly newsletter. Click below to sign up!